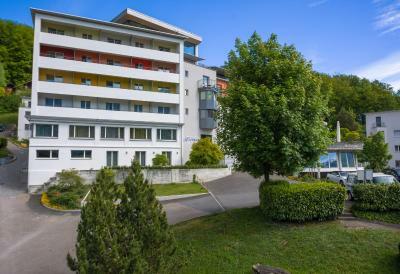 Lock in a great price for Seehotel Wilerbad – rated 8.7 by recent guests! The room was very tastefully decorated, with a lot of extra's. Loved the steamshower in our room! We visited the spa twice, was also nice. Clean, well organised. Had a good massage. 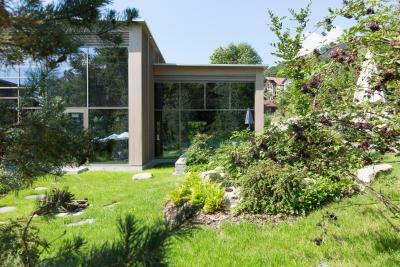 Great location, peaceful with an amazing view of the lake. The spa centre was a real treat. Nice outside pool area by the river, nice fruits and tea. Book massages in advance, it is definitely worth it. Extremely friendly staff, very good breakfast buffet choice and delicious Thai restaurant. Free bike rentals so really nice to explore the lake by bike. Super clean too. Good wifi. Amazing hotel. Rooms are very clean and comfortable. The location is just perfect and room view is spectacular. The restaurant is also very good. I would recommend and would definitely stay in this hotel again. Free shuttle from hotel to the station on request. I had to catch an early train so had to have breakfast 10 min early and asked the staff to help me pack the eggs, which prove them very helpful. The saunas were exceptional. The lake view was breathtaking. Gave me a free upgrade so the room was very spacious. Loved my overnight stay here. 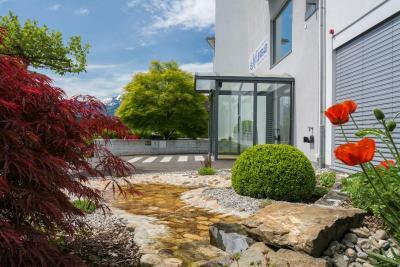 Friendly staff, great location and beautiful Spa facilities. The staff are courteous and respond immediately to requests and needs. The sauna and facilities leave nothing to be desired... Even when many are there, the clever design is such that guests are spread out over the area. Now in winter, with rainy weather.. The outdoor pool is a real treat. The restaurant offers Thai and Swiss food in combination, which is so interesting.. And we enjoyed our Swiss styled meal very much. We always travel there with our well behaved dog.. And being able to have her with us in the dining area means we can linger over the meal. And a bowl of water is immediately provided for the canine guest! And finally.. After check out, the guest gets to use the wellness facilities for no extra cost for the day! There are lockers for baggage, and fresh towels are provided. We have enjoyed this hotel experience every single time! Beautiful location and SPA, nice terrace, excessively nice and acccomodating staff, private access to the beach 5min walk away. I was so relaxed in the outdoor warm jaccuzzi/pool, I practically spent my days there and didnt feel the need for a massage! 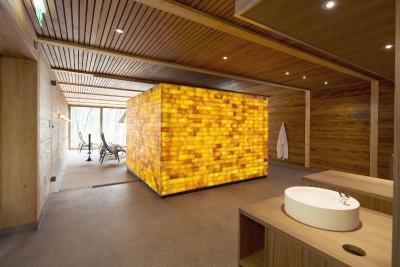 3 types of saunas, indoor salt water pool is cool too. And the view & surrounding area makes you never want to go back to a hectic city lifestyle :) an extra thank you to the staff for their warm smiles and hospitality, and the little extras to make us feel at home :) I will so be back ... ! Location of the property was great, views from the hotel were amazing. Spa was excellent, even with too many people inside you didn't feel crowded, enough space for all. A selection of pillows was provided on demand which was just great and made the night more comfortable. 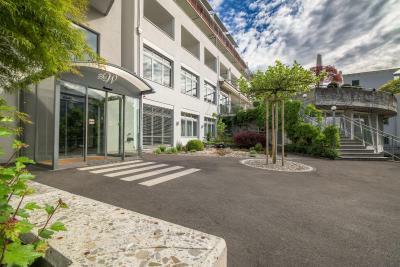 Seehotel Wilerbad This rating is a reflection of how the property compares to the industry standard when it comes to price, facilities and services available. It's based on a self-evaluation by the property. Use this rating to help choose your stay! 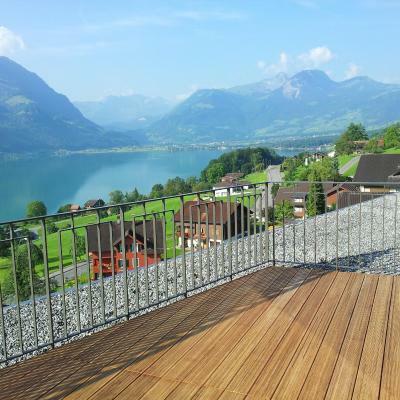 Overlooking Lake Sarnen, Seehotel Wilerbad is idyllically located between mountains and the lake, a 20-minute drive from Lucerne. 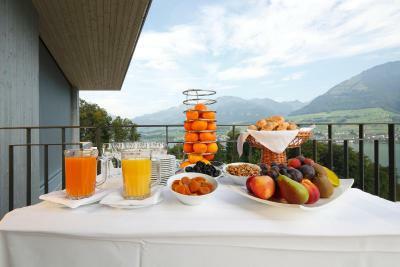 It offers a spa area, a private beach area, and a free shuttle service to Sarnen Train Station. Free WiFi is available throughout the property. 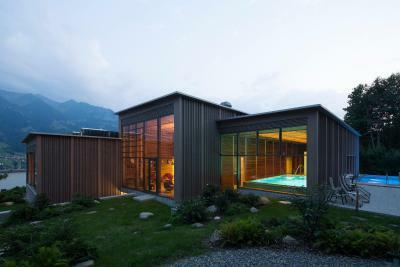 The spa area includes a heated outdoor pool, a brine bath, various saunas, and a steam bath. 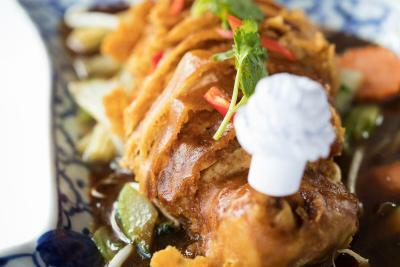 Guests can enjoy Thai cuisine and Swiss specialties in the 2 on-site restaurants or on the panoramic terrace with lake views. The Wilerbar is an ideal place to finish the day with a drink. The surrounding region is ideal for hiking and biking tours. Interlaken and Zurich are 28 mi away. Parking is free of charge. This property also has one of the top-rated locations in Sarnen! Guests are happier about it compared to other properties in the area. 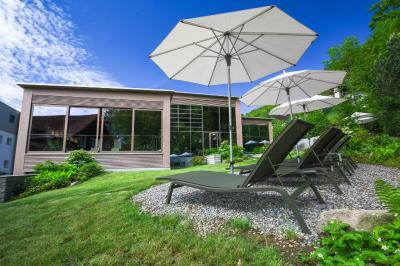 When would you like to stay at Seehotel Wilerbad? Colorful room with a small safe, a TV, a radio, and a private bathroom featuring a shower and a hairdryer. 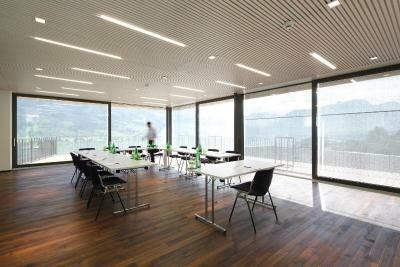 It also features a balcony with views of the lake. Rooms on each floor are decorated in the style of a different season. Colorful room with a small safe, a TV, a radio, and a private bathroom featuring a shower and a hairdryer. This room features a double bed (width 55 in). No balcony and no lake view. This room features a double bed (width 55 in). 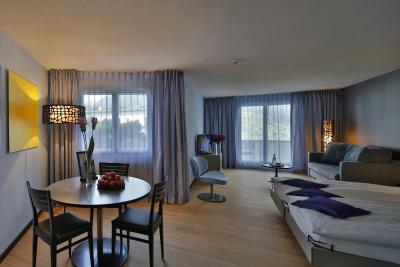 This twin room has a balcony, offering views of the lake, and a seating area. 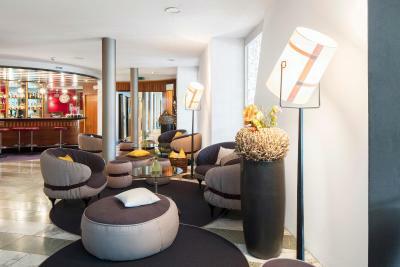 House Rules Seehotel Wilerbad takes special requests – add in the next step! Seehotel Wilerbad accepts these cards and reserves the right to temporarily hold an amount prior to arrival. Breakfast was great everything that one can want. The rooms are bit outdated, needs some minor improvements. The service in the restaurant we liked less. The waiter tried very hard and was friendly, but not very concentrated. Took quite some time to take an empty water bottle and replace with a new one for example. Only after we paid the hotel invoice and went back to the restaurant for a final cup of coffee did they discover the wine from last night's dinner had not been included in the bill. They did make up for the mistake by offering us our coffees for free, nice gesture! There is nothing I would fault. Every single visit I've had has been wonderful. Just a suggestion. Add a kettle in the room and tea/coffee. Also a mini fridge with some goodies. Sauna open until 9pm. Very far from Sarnen station and had to wait 20 min for the only bus. High prices at the restaurant. Felt like they lower the price for accommodation and raise the prices for food, just because there are no other restaurants in close distance. 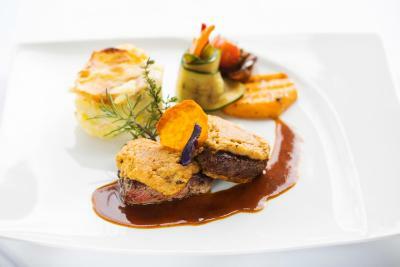 As a guest you then have no chance to chose something else.